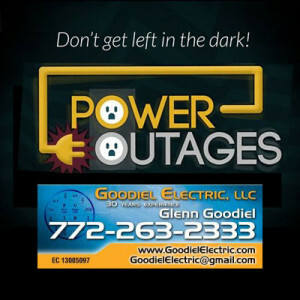 A master electrician, holding a Florida unlimited electrical contractor license, I am the owner of Goodiel Electric, LLC. My company provides Electrical installation services to St. Lucie and Martin County as well as in neighboring Treasure Coast counties. Water source heat pumps for energy efficiency. Consider Energy Efficiency During Home Remodeling. When doing a major home remodel, keep energy efficiency in mind. Every year, much of the energy homeowners consume is wasted. Energy efficiency is one of the easiest and most cost effective ways to clean the air we breathe and reduce energy costs. Remember, you’ll be paying for energy inefficiency every month for as long as you own your home. You hear a lot about making your home more energy efficient—how it can help to reduce high energy bills, improve comfort and help to protect the environment. But what does it all mean if you’re remodeling or building a new home? 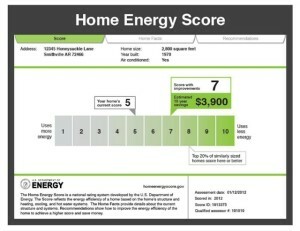 If you’d like to design an energy efficient home you should use what’s called the whole-house systems approach. 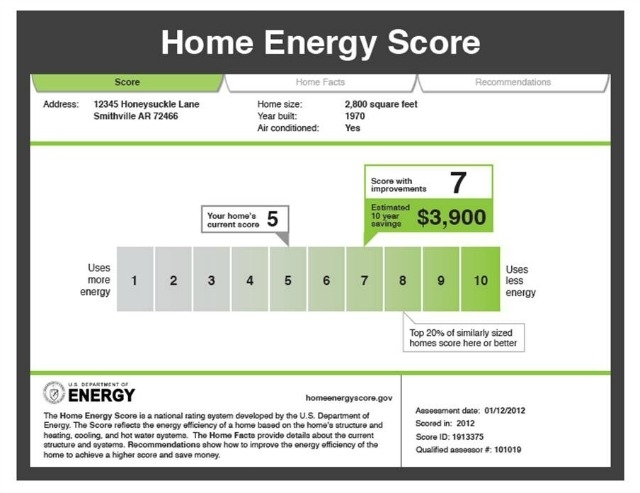 This approach helps homeowners, architects, and builders develop successful strategies for optimizing home energy efficiency. Designing and building a new house or renovating an existing house to be highly energy-efficient requires careful planning and attention to detail. If you’re remodeling a home, be sure to conduct an energy audit before making upgrades to determine what energy efficiency improvements should be made to your home. Remodeling projects that involve replacement or significant alterations of walls and roofs, windows, doors, heating and cooling systems, duct work, and lighting can all have a big impact on your home’s energy use. This is a particularly good time for sealing ducts and adding insulation in walls that otherwise could not be done easily or cost-effectively. To ensure that your new or renovated home takes full advantage of a whole-house systems approach, hire an experienced design and building team and insist that they use a whole-building systems approach from the beginning of the design process. Your designer can perform a whole-house computer simulation that compares multiple combinations of variables to arrive at the most cost-effective and energy-efficient solution. Reduced utility and maintenance costs. A healthier and safer indoor environment. You can use the whole-house systems approach with any home design. Once you’ve reduced your energy loads requirements as much as possible, consider adding renewable energy systems that generate electricity and heat water. Call Goodiel Electric, LLC. for a Great Deal. Call master electrician and Martin County based electrical contractor Glenn Goodiel for all your electrical service needs. In Martin County, Goodiel Electric, LLC. services Hobe Sound, Indiantown, Jensen Beach, Jupiter Island, North River Shores, Ocean Breeze Park, Palm City, Port Salerno, Rio, Sewall’s Point and Stuart FL. In St. Lucie County, Goodiel Electric, LLC. services Port Saint Lucie, St. Lucie West, Tradition, Torino, Tesoro, Lake Charles, Lake Forest, Magnolia Lakes, PGA Village, The Vineyards, St James Golf Club, The Cascades, Fort Pierce, and the unincorporated areas of St. Lucie County FL. Geothermal Heat Pumps for Energy Efficiency. Air-source heat pumps for energy efficiency. For South Florida homeowners air-source heat pumps are an energy-efficient alternative to furnaces and air conditioners. Because the Treasure Coast seldom sees extended periods of sub-freezing temperatures its residents can take advantage of heat pump technology. There are three types of heat pumps: air-to-air, water source, and geothermal. They collect heat from the air, water, or ground outside your home and concentrate it for use inside. This article focuses mainly on air-source heat pumps. 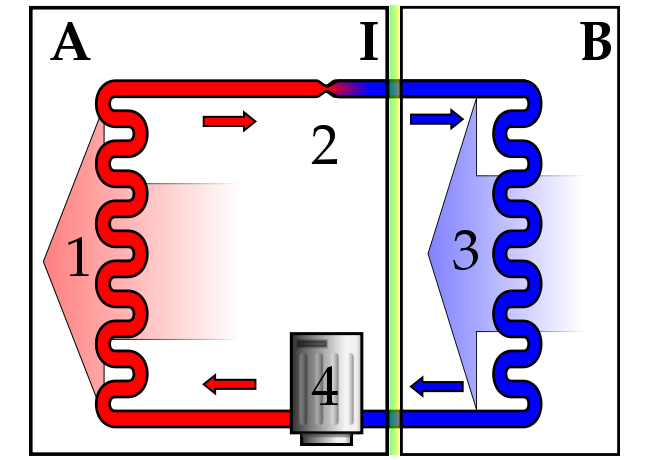 An air-source heat pump system transfers heat from outside to inside a building, or vice versa. Under the principles of vapor compression refrigeration, an ASHP uses a refrigerant system involving a compressor and a condenser to absorb heat at one place and release it at another. During the heating season, the air-source heat pump moved heat from the cool outdoors into your warm house. During the cooling season, the heat pump moves heat from your cool house into the warm outdoors. The most common type of heat pump is the air-source heat pump, which transfers heat between your house and the outside air. Today’s air-source heat pump can deliver one-and-a-half to three times more heat energy to a home than the electrical energy it consumes. High-efficiency air-source heat pumps also dehumidify better than standard central air conditioners, resulting in less energy usage and more comfort all year around. Air-source heat pumps have been used for many years in nearly all parts of the United States, but the Treasure Coast area is ideally suited for heat pump technology. For homes without ducts, air-source heat pumps are also available in a ductless version called a mini-split heat pump. Advanced Features to Look for in Air-source Heat Pumps. A number of innovations are improving the performance of air-source heat pumps. Unlike standard compressors that can only operate at full capacity, two-speed compressors allow heat pumps to operate close to the heating or cooling capacity needed at any particular moment. This saves electrical energy and reduces compressor wear. Two-speed heat pumps also work well with zone control systems. Zone control systems, often found in larger homes, use automatic dampers to allow the heat pump to keep different rooms at different temperatures. Some models of heat pumps are equipped with variable-speed or dual-speed motors on their indoor fans, outdoor fans, or both. The variable-speed controls for these fans keep the air moving at a comfortable velocity, minimizing cool drafts and maximizing electrical savings. It also minimizes the noise from the blower running at full speed. Have you decided that an air-source heat pump is right for you? Do you have a heat pump that needs to be serviced? Give us a call; we can help you every step of the way. UL 1008 Transfer Switches Deliver Dependability. Extended power outages are a real threat to Treasure Coast homeowners during severe weather events. When power is lost it completely changes the way we live our lives. When a natural disaster such as a hurricane occurs backup power is an absolute necessity. For that reason, a permanent standby generator is often viewed as the best option for homeowners because it can provide automatic, whole-home power during extended outages. Switchover to emergency backup power when utility power fails typically relies upon a UL 1008 transfer switch. That switch activates the standby generator as soon as normal power goes off-line. The reliability of that switch is of paramount importance. Unfortunately, non-UL 1008 transfer switches have not always been as dependable as they should be. In fact, in a recent survey nearly a third of the non-UL 1008 transfer switched tested failed completely. But, with evolving technology and more widely adopted standards, reliable transfer switches can become the norm. One of those evolving standards is Underwriters Laboratory’s UL 1008. UL 1008 is a standard for transfer switch equipment that was first issued in 1972. It was approved by ANSI in 1976 and has been evolving ever since. A performance standard as well as a design and construction standard, it sets criteria for short circuit testing. UL 1008 is intended to guard against transfer switch failures and resulting fires. It helps ensure the safety of the installation and the safety of the operation and maintenance personnel who work with transfer switch equipment. Since it was first introduced, there have been several revisions to ensure that transfer switches are adequately tested to safely withstand and close on the short-circuit ratings shown on their labels. Currently in its seventh edition, it is, today, the standard to which switch manufacturers build and test their switches to help ensure they perform as expected. Labeling UL 1008 Transfer Switches. Achieving the label UL 1008 requires conforming to a series of rigorous requirements that cover automatic, non-automatic and bypass/isolation transfer switches intended for use in ordinary locations for power and lighting. Withstand and closing ratings (known as WCR), which cover severe fault currents, bolted faults, and short circuiting within the electrical distribution system. A test to ensure the device can carry rated currents. Endurance tests that specify the number of cycles the transfer switch must achieve and continue to perform its intended function. For example, a transfer switch that has earned UL 1008 certification has the ability to transfer 6,000 times, with one-sixth of those operations at full rated load. That leaves plenty of leeway for a switch that is tested monthly and also might be subjected to a dozen outages of normal power every year. The seventh edition of UL 1008 became effective as of Nov. 1, 2014. It impacts product shipped on or after that date and resulted in significant changes to the short-circuit ratings shown on all transfer switch products in the industry. Time-based short circuit and short time ratings are both optional for product qualification under UL 1008. UL 1008 now requires circuit breaker ratings must show short-circuit amperes, voltages, + time duration markings in seconds. Not every transfer switch manufacturer offers these ratings in addition to the specific breaker rating. However, if a specifying engineer has this added information, that person has more flexibility when selecting an appropriate circuit breaker to coordinate with the desired transfer switch rating. And, after installation, in applications where ratings are relevant, an inspector would look for the additional information. In Martin County, Goodiel Electric, LLC. services Hobe Sound, Indiantown, Jensen Beach, Jupiter Island, North River Shores, Ocean Breeze Park, Palm City, Port Salerno, Rio, Sewall’s Point and Stuart, FL. In St. Lucie County, Goodiel Electric, LLC. services Port Saint Lucie, St. Lucie West, Tradition, Torino, Tesoro, Lake Charles, Lake Forest, Magnolia Lakes, PGA Village, The Vineyards, St James Golf Club, The Cascades, Fort Pierce, and the unincorporated areas of St. Lucie County, FL. One of the most important fire safety devices in a home is a smoke and fire alarm system. Several studies have concluded that when working smoke alarm systems are present, the chance of dying from the fire is cut in half. Smoke alarms currently in place have saved thousands of lives, but several problems exist. 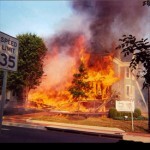 First, the 12% of homes without alarms have more than half of the fires; second, it is estimated that a third of the smoke alarms in place are not working, often due to failure to replace a worn out battery; and third, many homes do not have as many smoke alarms as are needed to protect the occupants properly. For more information on home fire causes, check out Total Protects’ article Know The Facts To Prevent Death and Fire From Faulty Dryer Vents. Reasons to install a standby generator. For a South Florida homeowner there are some good reasons to install a standby generator. The most obvious reason is the possibility of a hurricane coming ashore along the Treasure Coast. Power outages are a common occurrence during such storms, and many homeowners are turning to generators to ensure their electricity stays on, even when the grid is shutdown. Generators come in two design choices, portable or permanently installed. While portable generators have a lower initial cost, frequency of power outages and repair and replacement costs can quickly outweigh the initial savings. Here are several more advantages of a permanently installed standby generator. A standby generator’s start up can be automated. A standby generator uses an automatic transfer switch to start the when the power goes out. The switch is similar to the thermostat in your house. Instead of monitoring temperature, an automatic transfer switch monitors utility power. When the power goes out, the automatic transfer switch tells the generator to start. Automatic transfer switches come in a variety of amps, ranging from 50-amps to 400-amps. In most cases, you match the transfer switch to the main breaker in your electrical panel. For instance, if you have a 200-amp main breaker, you’ll need a 200-amp automatic transfer switch. When the lights go dark, a standby generator will start up in a matter of seconds, giving power to the fridge, microwave and air conditioner. There’s no searching for the portable generator, fuel and extension cord. Newer installed models will even send you a report about the power outage, telling you when the generator kicked on, how long it was used, and when the power came back. This can be especially helpful if you’re out of town when the power goes out. They can run longer than portable generators. How long your portable generator can run depends mainly on one thing – how much fuel you have on-hand. Installed generators connect directly to your fuel source, natural gas or liquid propane, allowing for longer run times and enough electricity for reliable backup power for your home. A portable generator can pose a safety hazard. 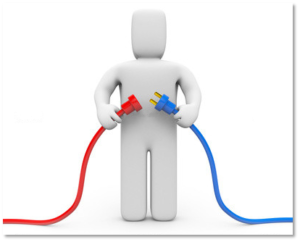 Most models require you to calculate the proper voltage for your appliances and remember to disconnect the utility power after a power outage. Permanently installed generators are set up by electrical contractors, who will prewire the connections. The generator’s automatic transfer switch will sense when the power goes out, or is unstable, and will switch itself on, while disconnecting utility power. When utility power comes back, the generator will reverse the process, with no work needed from you. Electrical contracting at its best. The rational for a Treasure Coast homeowner to install and maintain a standby generator is that a reliable source of electrical power will be available in the event of an emergency. Insuring that reliability depends on load testing. How reliable is a homeowner’s on-site power system? Waiting until an outage occurs is not the time to find out. The better way is to periodically test the standby generator under load to help ensure it is ready to run when needed. Homeowners may be reluctant to test the standby generators, transfer switch, and other components under load because of cost or inconvenience. If the testing reveals a problem, then what? 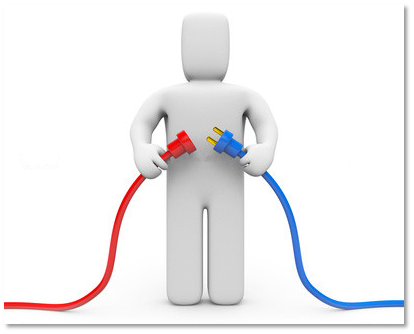 However, there are several very important reasons to test the on-site power system. A standby generator that is idle most of the time needs to be exercised to prevent the system from breaking down due to lack of use. Testing helps to pro-actively diagnose and fix problems and determine if an aging standby system is due for replacement or component upgrades — at a time the system is not needed. Testing a generator with a load bank eliminates the effects of wet stacking. Wet stacking is the build-up of carbon deposits in the exhaust. This build-up can adversely impact generator components including piston rings, turbochargers, injector nozzles, the combustion chamber and the exhaust pipe. Running the generator at the required percentage of the rated load burns off carbon deposits in the engine. The technicians conducting the load testing will also monitor the engine for leaks, temperature and oil pressure loss. Based on their observations and readings, they can be ready to disconnect the load if problems arise. Ultimately, the cost of regularly scheduled maintenance and testing is worth the insurance that a well maintained standby generator provides. The safest and most efficient way to evaluate the health of a standby power system is to schedule periodic field testing of the standby generator and its associated components under the equivalent of a live load. The test should be conducted by qualified technicians under controlled conditions. Turning on a generator without a load attached is like turning on the ignition in a car left up on jacks in a garage for a long time. There is no way to know if the vehicle will operate on the road. Just hearing the motor run doesn’t mean the car can be driven or the tires are aligned. Load testing is typically done by applying an outside electrical load to the standby generator. The load bank, which is generally portable and transported to the facility on a flatbed trailer or the back of a truck, is equal to the total load the generator would be expected to carry if utility power became unavailable. This type of test does not disturb the live load and eliminates the risk of causing a loss of power should the system not function as intended. Once the load bank is connected to the standby generator, the generator is turned on and operated for a predetermined period of time. The attending technicians make note of any operational problems, which the homeowner can then address at a non-critical time. How often the testing should occur depends on the classification or use of the facility, local building code, the original equipment manufacturer’s recommendations for the application, and operating conditions. While some homeowners may balk at the cost of load testing, the expense is substantially less than the costs of an unexpected outage. Scheduling periodic field testing and pro-actively diagnosing and fixing problems when the standby generator isn’t needed will help ensure a homeowner isn’t left in the dark when the generator is needed. Got a well thought out hurricane safety plan? The 2016 Atlantic hurricane season is nearly upon us. For anyone living on Florida’s Treasure Coast, a well thought out hurricane safety plan is essential. Safety should always be your first priority. To insure that safety, potential hazards need to be eliminated prior to a storms. Timing Your Solar Power Installation. 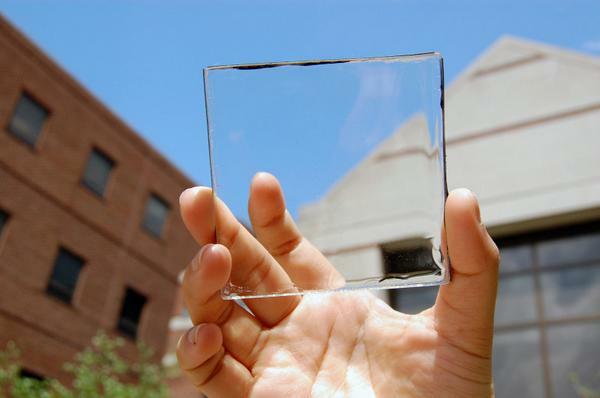 Now windows can be energy sources. Let the sun be your utility provider. Florida’s long, sunny, summer days provide free solar energy. Solar power generates clean energy and helps to reduce your individual carbon footprint as well. So, considering a solar system installation as part of the solution to lower your electrical generation costs. Residential solar power generation is no longer more expensive than traditional fossil fuels. Indeed, it is cheaper. In the past seven years, wind and solar capacity in the United States has tripled, and new capacity has favored renewables. In 2014 wind and solar made up 55 percent of new electric generating capacity in the United States. By comparison, natural gas was 42 percent. The other new sources — coal, nuclear, and oil — were all under 1 percent. Currently, the federal government allows a 30 percent investment tax credit for solar. That credit is now not set to expire at the end of 2016. A report from Deutsche Bank says that even without additional subsidies, solar is already cost competitive in Florida and 13 other states. If costs for solar continue to fall as predicted, then we could see solar electricity as cheap as average electricity bill prices in 47 states within the next two years, according to Deutsche Bank’s report. So, a home solar system can save money while providing a better future for the planet and generations to come. That said, the real issue is not whether you should or should not install a solar power system on your home, but when.